I made my way to Palma, ready to escape the grey and rainy Berlin blues and jump into a fun weekend for a media stay with my best friend at the beautiful boutique hotel Puro in Palma..
As the early bird I am, we arrived for a breakfast, early in the Sunday morning hours, before touring the hotel. The breakfast buffet offers a selection of vegan and vegetarian dishes, so as local foods and drinks. One can enjoy a healthy breakfast with fresh orange juice and fruits or go for a sweet treat with various pastries. The first thing I recognized was the sweet and tasty smell of coconut and vanilla in the air of the lobby. The hotel is located in the old town and offers a superb twist with its modern design and minimalistic but modern interior. One feels like in a white oasis, dreaming oneself away, surrounded by wooden elements and a lot of plants. Puro hotel originally started in 2004 and has now many hotels and separate beach clubs. 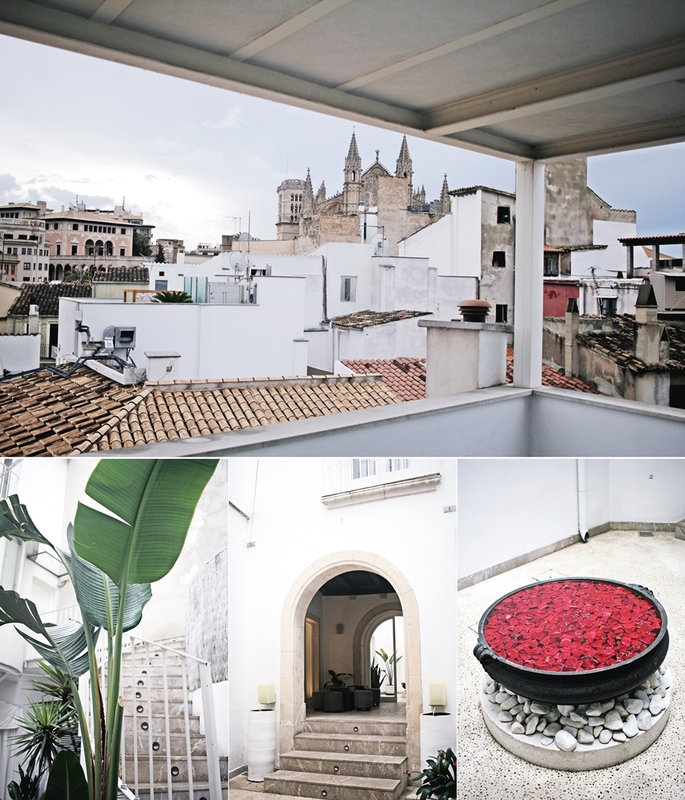 The Puro Hotel Palma has two buildings, which one of also features a spa. In total guests can enjoy a jacuzzi and a pool, such as daybeds and many other beautiful spots which are also perfect for taking photos. A holiday one will for sure never forget. After our early arrival I used the time before checking in for a stroll through the beautiful property which is actually separated into two buildings. We were staying in the main building, while there is a second building, the private wing, which offers another total of 11 rooms. Our room was located in the 5th floor which offered us a wide view above the city and direct access to the pool, which is also located in the 5th floor of five floors in total. The Puro Hotel Palma has a total of 51 rooms, where each room has its own personality, wide space and offers luxury and space. 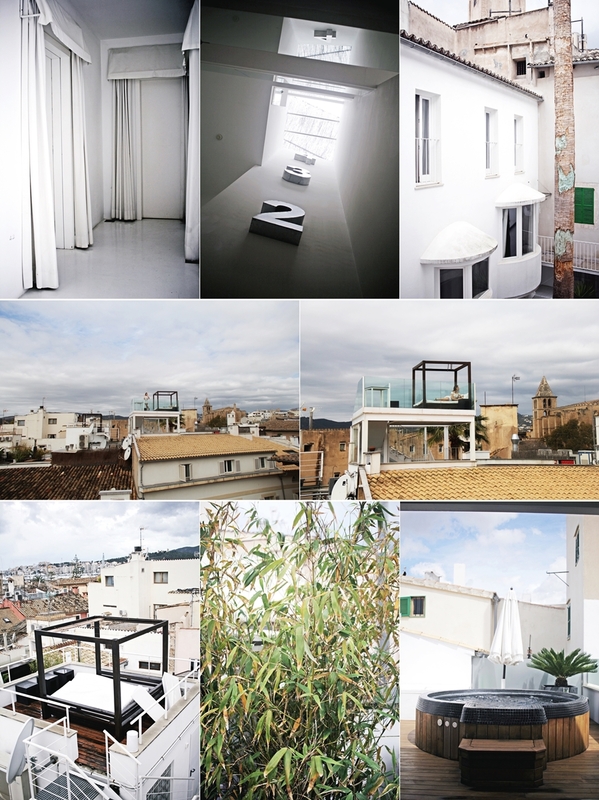 The Puro hotel is best to be described as a white urban oasis in the middle of Palma´s old town. It is a calming atmosphere which offers the perfect base for wellbeing and an ideal surrounding to calm down, before or after enjoying Palmas nightlife or daily adventures. Our room offered us two single beds with an own private terrace and cabana, where we were able to enjoy the warm sun beams and 22°C, which we were spoiled with during out stay, such as a complete entertaining system, with TV and sound boxes. My personal highlight was definitely the bathroom, which featured a huge bathtub and a rain shower. A hot bath in the evening was definitely a perfect treat after almost one week of travels before my arrival to Spain. To even upgrade this experience, I was invited to enjoy a calming 30 minutes massage in the Puro spa, which is located in the private wing. The building of the private wing is located just on the other side of the small street and is for sure memorized by its open-air jacuzzi terrace. Within the spa one can find a steam room such as a smaller lounge room to calm down before or after the treatment. As the hotel was fully booked during the weekend, we were sadly only able to stay for one night, however we enjoyed a wonderful evening at the Puro hotel and it´s neighborhood. On the next day, just after enjoying breakfast and checking out, we made our way to Puro Beach, a separate location close to the airport. 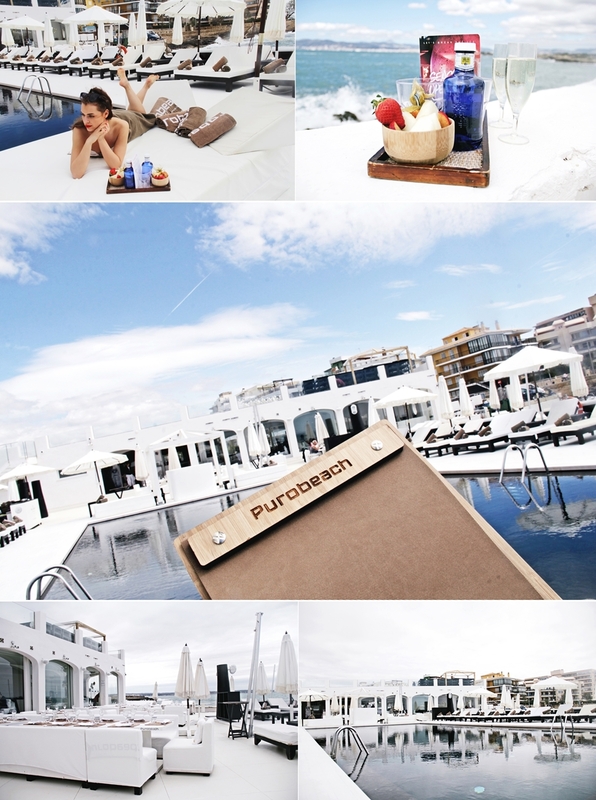 Puro is already having sperate hotels in various cities and countries and on Mallorca, the hotel chain is featuring 2 beach clubs, which of we were invited to visit one of. The Puro hotel offers a shuttle service to the beach club which is only a 15-minute ride. The location itself is easily to be described as “picture perfect”. While the hotel itself was already spreading the feeling of an urban oasis in the heart of Palmas old town, the Puro beach club is interpreted as and hip and cool area with a huge pool and an indoor and outdoor restaurant, featuring cabanas. Located on the coast, I could listen to the sound of the waves, while tanning and feeling the warmth of the sun in my face. In the afternoon, we finished our visit with a perfect round up, a lovely lunch in the Puro beach club, which we were enjoying in the outdoor area. As tastes can be so different, and diets be flexible, I was happy to find a wide selection of vegan and vegetarian offers, along meat and fish dishes. 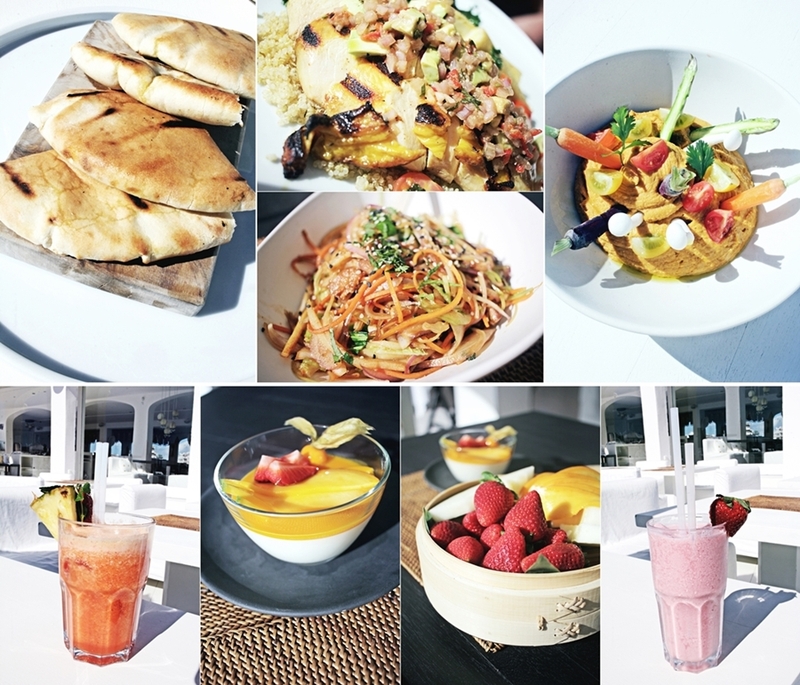 The modern fusion cuisine offered tasty dishes like sweet potato hummus, a vegetarian wok or fresh grilled chicken with quinoa, so as fresh juices and smoothies. Our stay with Puro hotel might have been short, but rich in things to experience and in total I can tell that I have many wonderful memories to my stay. I´m really excited for my next travels and hope to spot and visit more of the inspiring Puro hotel properties in near future.